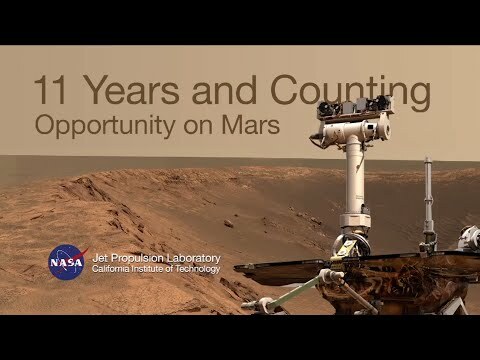 Today 11 years ago the Mars Rover Opportunity landed on Mars for a what initially was a 90 day mission. Since then it has driven 41.7 kilometers, which is farther than any other off-Earth surface vehicle has driven. In order to celebrate this fact NASA Jet Propulsion Lab has put together the video below. And the celebration continues, because with this post Moment of Geekiness hit the 1,000 blog posts mark. I would like to take this opportunity (hehe) to thank all the readers of this blog for their continuing support and feedback. It is very much appreciated!